Podcasts | Smart Home Choice Inc. Listen to our interviews with industry experts. Stephen Jones is a prolific Realtor®️ and Real Estate Investor whose consistent work ethic, drive, and passion have all earned him the reputation as a dedicated industry leader countrywide. Moreover, he is known as a Preferred Investment-Focused Realtor for the Real Estate Investment Network RPG Program, Keyspire, and Investor on Fire. Over the course of half a decade, he has garnered extensive hands on experience in helping fellow investors achieve their goals. In addition, he formerly served as a Manager for the Province of Ontario. When he isn’t working directly with new investors, Stephen Jones can be found spending quality time with his wife, 4 children and his dog. He is also a voracious reader and avid traveler. On our show this month I had the privilege to have a conversation with Rochelle Laflamme and Alisa Thompson. 2 incredible entrepreneurs that stopped at nothing to achieve success against all odds. Starting off with nothing, they now have a team of 30 Epic team members and control over 32 million dollars worth of real estate. What’s more important, the money or the mindset? How turning a problem for one into a solution for many can create unbelievable wealth? What HELP is and how it can make your real estate investing life very easy. Is Saskatchewan a good market to invest in? Where most beginning investors make their mistake and how to avoid the trap. Do you need to be brought up in an entrepreneur household to be an entrepreneur? 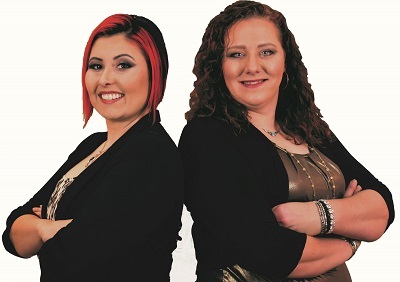 Rochelle Laflamme and Alisa Thompson are a dynamic pair of real estate entrepreneurs. Over five years ago, after gaining years of experience in the electrical industry, they started Epic Alliance Inc. with a mission to simplify and streamline residential real estate investing. As female electricians and trades women they have an unfair advantage of being able to pick the right properties. The knowledge they gained from some of the best real estate mentors, including Rich Dad Poor Dad coaching and Fortune Builders was the founding pillars of what these EPIC women do and believe in. The company was awarded the “Most Creative Deal of the Year” in North America by Fortune Builders in 2016. From its humble beginnings, Epic Alliance Inc. has grown into the company it is today with a residential rest estate portfolio that controls over 220 doors with more being added each day. With the help of our 30 Epic Team Members and our investment partners Epic Alliance Inc. is in control of over 32 million dollars of real estate. On our show this month I had the chance to discuss the success Ankur has had, from his journey from India to Canada and how he turned his early failures into massive success! In a twist of fate, our journey’s crossed path’s early in both of our careers on a deal we worked on that changed his life forever. An incredible story of how perseverance and hard work can alter your life for the better. On our show this month I had a great time learning about Rene’s story how how he was able to successfully walk away from his 9-5 job. To attain this accomplishment it takes a particular mindset and on today’s show, Rene goes into full detail on how he was able to execute his game plan and the challenges he had to overcome. 1. What’s the mindset required to quit your 9-5 job? 2. Is your 9-5 job the best security to have? 3. Is Real Estate investing more secure then the stock market? 4. What should you focus on selling, the product or yourself? 5. The best selling technique to master in the beginning? 6. One of Rene’s favourite places to invest and why? 7. How to How to have a conversation with a potential joint venture partner? 8. Why it’s important not to give up out much info. In the fist meeting? 9. Should you take your inexperienced joint venture partner out to the property? 10. The best advice you can give your teenage kids. 11. Should you invest with family or stay far away? René’s background includes more than 20 years of successful entrepreneurship. He has a Bachelor’s of Education from Queen’s University, a license to engage in real estate transactions in Ontario, and an extensive network of expert service providers that includes real estate lawyers, mortgage brokers, and skilled labourers. René is fluent in both French and English. On our show this month, I had the privilege to sit down with Mathew Frederick. Mathew is a master of bringing investors together through partnerships and has acquired the skill sets to create a win/win situation for his clients and students. Mathew is a professional speaker and has spoken to over 100,000 Canadians over the last 8 years on a number of investing strategies including Lease Options, Tax Sales, Buy/Fix Sales, Foreclosures. Mathew began his career as a soldier in the Canadian Armed Forces Reserve where leadership and strategic thinking was honed while studying Computer Systems Technology and upon graduation worked as a Systems Analyst for a major bank. Mathew began a decade of teaching Computer Business Systems at a private school which included computer software applications. His teaching method of big-picture awareness, practical knowledge, and hands-on training resulted in sustained learning and success for his students. While teaching he began investing in residential real estate learning how to find, analyse, negotiate, finance, upgrade, tenant and manage rental income property. Today Mathew designs and teaches business, sales, and real estate courses. He has achieved great success but also made his share of business mistakes. Through success and adversary, Mathew has learned the value of resilience, fortitude, team work, partnership and hope. • Does it matter where and how you grew up to be successful? • Why your current job is important to your success in the future. • How to keep growing your portfolio when you hit the brick wall. • The best place to find deals where most investors never look. • How to make a VTB attractive to the seller. • What’s the biggest reason most investors fail in Real Estate Investing? • Why integrity is important and how it can affect your taxes. • How to transition from residential to commercial with ease. • The art of raising money and why you should master it. • Why self storage units could be the way of the future of investing. • Why is it important to teach what you’ve learned to others? • The importance of understanding body language. Mathew’s real estate career began with residential income property, then expanded to buy-fix-sell, lease option, commercial buildings and new development. Mathew has lead on renovating properties over 28 years which includes partnering with a developer over the past 6 years to build houses and low-rise condo buildings. Mathew focuses on asset managing commercial portfolios including plazas and multi-family buildings plus coaching investors in business and real estate acquisition. Mathew knows what it’s like to lay in bed at night, unable to sleep due to financial pressures. It is this experience that propels him to teach financial stability. On our show this month I had the privilege to sit down with Ashmeed Khan. Ashmeed came from Guyana and started a franchise called Minuteman Press, a print company. He learned the value of door knocking, being a part of the community and by putting himself out there he has grown a huge network. By doing this, it’s opened his eyes to the things that are good in Ajax but also the things that need to change now. This journey has aspired Ashmeed to run for Local Councillor and to be the voice of the people in his community. • What does a Local Councillor do for your city, town etc.? • Can anyone in the community become councillor? • Is a councillor affiliated with a political party? • Issues in the community and how he plans to resolve them? • How Ashmeed has taken at risk youths under his wings. • His plans to create jobs within the community. • The value of bringing his entrepreneur mindset to Council. • Why quality, family and time is important to Ashmeed. He is the president of Minuteman Press-Pickering & brings over 25 yrs of business expertise to the print industry. At age 23 he singlehandedly built his 1st successful print shop in Guyana. He adventurously decided to move to Canada in 2002, where in 2006 he opened his 1st Minuteman Press franchise store on Harwood Ave in Ajax. Success followed by acquiring 2 more existing Minuteman Press stores in Oshawa & Kingston within the next 3 yrs. The 3 stores were then amalgamated into 1 large facility, he purchased on McPherson Ct. in Pickering, where all clients are being served by an expertly trained team. Ash maintains that the wisest move made when opening in Ajax was immediately becoming a member of the Whitby Chamber of Commerce & Ajax-Pickering Board of Trade, active for the past 12 yrs & is the recipient of their 2010 Business Excellence Award & in October 2014 awarded Business Person of the Year! He’s currently a Director of the APBOT & Chairs it’s Diversity Committee. He has also served for 4 yrs as Ambassador of the Whitby Chamber of Commerce & as advisor to the Recreation and Culture Committee of Town of Ajax. Ashmeed is also currently serving alongside several high profile colleagues on the Ajax Community Fund Grants Task Force. The most recent appointment is his being drafted amongst top entrepreneurs & surgeons to build the Shoulder Centre of the Ajax Hospital. He has worked closely for the past 12 yrs with the YMCA and John Howard Society, hiring challenged candidates who are unfortunately considered by “society”, unemployable, mentoring & teaching them his trade skills in the print industry to help prepare them for a better future. Residing more than 16 yrs in Nottingham of north Ajax with his wife Shelly of over 23 years, & his 5 children by his side, he enjoys life to it’s fullest. His 2 daughters are 20 & 6 years old. Ash & his 3 sons aged 19, 16 and 11 are all currently active in MMA & Boxing. On our show this month I had the opportunity to discuss an important topic with a great friend of mine, Joey Ragona. Joey has done wonders for my business and family life. How? He coached Darlene and I for over 2 years and helped us implement strategies, processes and a taught us a proven methodical way of tacking issues and how to efficiently run a fulltime real estate investment company. Joey Ragona is a full-time real estate investor, a #1 bestselling author, a recognized authority on joint ventures and the creator of the highly acclaimed Joint Venture Presentation Formula. Joey is an in-demand strategic business and personal coach and known as the “freedom coach” because of his extensive results getting people clear and on track. He has a proven track record and has helped hundreds of real estate professionals including individuals from Re/Max, Century-21, i-Pro Realty, Dominion Lending as well as organizations such as the Real Estate Investment Network (REIN) and Rock Star Brokerage. •Should you make sacrifices to get to the lifestyle you want? •What’s the best way to change your bad habits? •Should you hire a coach or mentor to hold you accountable? •How long should you stay with your mentor/coach? •Is Real Estate investing your true passion? •How much money do you need to make to be truly happy? •What are the 2 stages of learning? •Why is failure such an important part of learning and success? •Why using sticky notes could completely change your life. •How to compress 1 year goals into 12 weeks. •How to read 1 book each and every week. Sit back relax and enjoy this month’s Podcast! Ready to learn more about investing in Real Estate? Visit us today at www.smarthomechoice.ca and download your free Real Estate investing book Now! Call us today at (289)660-4770 to book a complimentary 30 minute 1 on 1 call. On our show today we have Amanda Russell. Amanda is a life problem solver and is passionate about helping people reduce stress and create empowerment in their life and or business, by helping them gain affordable access to the legal system and knowing their rights! Amanda Russell has been an Independent Associate with a company called LegalShield for the past 6 years and has helped protect and save hundreds of families and businesses a lot of money, time and stress with their LegalShield and ID Shield Service. Their motto is Worry Less! Live More! •What is LegalSheild and should you join? •If you lose your job can LegalSheild assist? •How LegalSheild assists with keeping your lawyer fees low. •If you get into a car accident, can you call LegalSheild on the spot? •Can LegalSheild assist with Joint Venture agreements? •Should you use LegalSheild for wills & POA (Power of Attorney)? •Can LegalSheild assist with debt collection or unfair treatment? •Can LegalSheild help with family matters, divorce and child custody? •If you have a work related issue, should you contact LegalSheild? •What quality of lawyers are associated with Legalsheild? Ready to learn more about investing in Real Estate? Visit us today at www.smarthomechoice.ca and download your free Real Estate investing book Now! This month I had the opportunity to discuss an important topic with a great friend of mine, Alex Bell. Many investors get into this business, spend lots on down payments, renovations and maintenance of their investment property but many times over look the single most important thing. This month we are going to do a deep dive into the world of house insurance, the mistakes many investors make and how to ensure you are properly covered to protect one of your most important assets. • Should you insure your investment property as a rider on your primary residence? • How to protect yourself from floods and sewer back-ups? • Should you get tenant vandalism and is it worth the cost? • What is tenant vacancy and should you get it? • What is rental income insurance and should you get it? • What is a builder’s risk policy and should you get it during a renovation? • Should you get your tenants to get their own insurance and can you enforce it? • What is the difference between stated amount and replacement cost insurance? • What type of insurance do you need for air-bnb and short-term rentals? On our show this month I had the privilege to sit down with possibly one of the hardest working millennials I’ve ever met. Adam Kitchener is a 25 year old investor, entrepreneur, property manager and landlord. He’s been investing in Real Estate for over 10 years while working closely with his father. What is the 5 year discipline and should you implement it? Is there an easy road to success for the millennials? What is the 1 thing you should know before investing? How to determine if you are cut out to be a landlord? Should you fake it til you make it? Adam is the CEO of UNLIMITED Real Estate Group. A full service real estate firm; actively involved in the acquisition, development and management of residential properties. Adam works with novice; out of town, and absentee landlords, along with investment firms, asset management companies and capital groups to offer quality management for their multifamily portfolios. On our show this month I had the privilege to sit down with an individual who has definitely become a leader and well respected entrepreneur in the world of Real Estate investing. Mandy Branham first starting investing in real estate in 2007. For several years she sat on the sidelines and one day she decided to turn on the rockets and in the last couple of years has acquired close to 40 homes through understanding the power of Joint Ventures. • Why coaching is important and will it get you to your destination faster? • How do you overcome the fear of starting your first Joint Venture? • Why your first few Joint Venture deals may not work out the way you planned? • What are red flags to pick up on before you partnering up? • How to easily attract your next partner with money when you don’t have any? • What’s more important, selling yourself or selling the deal? • How to structure your deals and the most common splits used? • Where is the best place to find your joint venture partners? • Why would someone give you $100,000 and how do you overcome this obstacle? • Can having the right mindset really transform your life forever? • What are the most important elements every Joint Venture agreement must have? • How do you protect yourself if your name is not on title? Mandy Branham is a community leader in providing clean, safe, appropriate housing. She has recently shared the stage at the Canadian Real Estate Wealth Forum teaching about Joint Venture Relationships. She has been featured on the LifeStyle Housing Pod Cast speaking on Becoming a Market Expert. She is an avid promoter of the value of Real Estate as part of a diversified Investment Portfolio. Mandy is an innovator who is always looking for ways to add value to others with a smile on her face and gratitude in her heart. It’s been a few months since my last Podcast! As some of you may know my family and I went through a major life changing event near the end of the year requiring me to take a serious break to reflect on my life and next moves. Now that I’m back in the saddle, I thought it would be best to start off the year with someone who taught me about the importance of Money People and Deals! I’ve become great friends with this unique and captivating entrepreneur who lives by the slogan “Respect The Grind”! He is the CEO of two multi million dollar companies and travels the world educating business people and entreprenuers. • What is the best strategy for beginning investors? • What’s in store for the market for 2018? • What’s the best investment property type to hold? • What caused Toronto and Vancouver’s market to rise so fast? • Where are the best places to invest right now? • What is Bitcoin and should you get involved? Stefan Aarnio is an award winning real estate investor, award winning serial entrepreneur, author of multiple books and educator. Having built his fortune through purchasing real estate at 40-60 cents on the dollar, Stefan became an avid student of negotiation at a young age testing and learning the principles in this book first hand in the real world. On a day-to-day basis, Stefan is the CEO of two multi million dollar companies and travels the world educating business people and entrepreneurs to bring forward the next generation of success. Howard Tavroges has dealt with thousands of landlord and tenant cases and has seen almost every scenario. After working strictly with tenants for approximately 5 years Howards main focus today is representing Landlords and navigating them safely through the weeds of understanding the residential tenancies act. • How to legally tell a tenant you are not going to select them? • What landlord and tenant forms you need to keep handy? • What if a tenant won’t let you into your investment property? • Can you take a security deposit? • How much can a landlord charge for late rent? • Can a tenant sublet your property whenever they want? • Can you legally ask for a criminal check? I was Tenant Duty Counsel at The Landlord and Tenant Board between 2008-2013. This gave me the unique opportunity to deal with Thousands of tenants and so many different landlord and tenant situations. I have been in Private Practice since 2013. I only represent Landlords. That’s all I do. Nothing else. Having been on the other side, I am in a very advantageous and unique position in being able to assist landlords with any problems they might be experiencing with their tenants. This month I had the chance to really understand why so many Canadians find themselves working paycheque to paycheque. Learn the classic financial mistakes so many Canadians are making and what you can do to create a financial plan that will change your life forever. Kathleen says, Debt reduction is not the path to wealth creation! GREAT ADVICE!! • What’s involved in developing a comprehensive plan? • What are the top key wealth strategies Kathleen recommends? • Common mistakes most Canadians make with financial planning? • What is the difference between good debt and bad debt? • Will the pension be there or will a tax hike be coming? • Are RRSP’s a better tax tool or a better retirement tool? • Should you get a long or short amortization for your investment? • Can you really get a 20% rate of return on an investment property? • What to pay attention to when deciding on your mortgage? • What is permanent insurance and should Canadians get this? Kathleen Van Den Berg is a Certified Financial Planner who believes there are many aspects of traditional planning methods that are fundamentally flawed. She loves to write about the common financial mistakes she sees in her practice. Kathleen specializes in working with individuals and families to improve cash flow and help them build significantly greater wealth projections over their current plans. As a strong advocate of real estate and rental properties, she actively includes real estate as one of the six key components in her clients’ wealth building plans. She owns 6 properties, including 5 rental properties. Helping clients create phenomenal wealth and having a lot of fun doing it is her “why”. ILiad Niaraki is one of the most sought after Canadian Financial Advisors in the country today. For the better part of the last decade, he has dedicated himself to educating Canadians about the financial solutions that they can use immediately to secure their financial futures. • What is the minimum credit score to qualify for these loans? • Is there a minimum amount of household income to qualify? • Can you use these funds for other purchases outside of Real Estate? • What is the interest rate and maximum amortization period? • Can you qualify for these program more than once and at the same time? • How quickly can you get approved for these programs? • Can you qualify for this program if you are self employed? His prowess for investing has taken him to new personal heights as he has expanded his investing portfolios to include both Canada and the U.S.markets. Iliad has acquired a significant skill set that enables him to simply and effectively help clients to understand and navigate a course of action that works best for them and can implement it quickly. Iliad had studied the patterns of his most successful strategies and has created a proprietary success model called WealthXL. It will be featured in his upcoming Canadian best-selling book by the same name. The strategies were developed into an investor formula that includes both wealth protection and acceleration and his clients’ success, using these sound financial principles, has made him one of the most prolific advisors in his field today. Based in Toronto, Iliad is driven to help his clients succeed, from any walk of life, with any financial goal. One of the BIGGEST challenges most investors face is the FEAR of selecting the right tenants for their properties. This is the #1 REASON why people shy away from one of the most lucrative vehicles for creating financial freedom for their families. What if I told you I found a company that found a way to do intelligent screening to select the perfect individual or family for your investment properties? I would like to introduce you to one of the FASTEST growing companies in North America called NABORLY! They are changing the way investors do business through their in depth financial analysis and rick assessment of your NEW potential tenant. Don’t believe me? Listen now to this months PODCAST for FREE! • Why does the traditional way of screening tenants need to change? • Can Naborly do Social media checks on your tenants? • Why Naborly is the one stop shop for selecting the perfect tenant? • Does pulling a tenant’s credit affect their credit score? • Should you allow a tenant to pull their own credit score? • How does a tenant with a bad credit score can still be a great candidate? • Can Naborly help a tenant if they are new to the Country or have no credit history? • Why is the FICO score is not the only thing to look at anymore? • Should you call references on the application? • What does Naborly have in store for the future and how do they want to change the world? Dylan Lenz is the Founder & CEO of Naborly a technology company focused on Artificial Intelligence and Machine Learning for rental housing and alternative credit scoring. Dylan leverages his abilities in Product Design and Software Engineering along side diverse experiences in Operations, Sales, and Marketing. Previously, Dylan built and sold two companies in technology and finance. He studied Computer Science and Sociology at the University of British Columbia. This has got to be one of my favourite Podcasts. Why? In this podcast I get to share with you the raw and uncut version of my teams ideas, philosophies, their outlook and predictions on the future. After this call, I think you’ll get a good idea as to why we have meshed so well over the years. So sit back, relax and have a listen to the conversation with Mi Familia! • Why we all decided to get into Real Estate investing. • Where we are currently investing and why? • Where we see the market heading and what investors should do. • How mortgage agent differentiate themselves from the banks? • What type of property should a beginning investor buy? • Should you try to get the best rate or the best mortgage product? • How to know if you are working with the right Real Estate agent? • If you want to quit your full-time job, when is the right time? • As an investor, should you be worried about a bubble? Christopher is a licenced real estate agent, and an investor himself. Christopher has a background in sales, public speaking and marketing. He prides himself on his people skills, and aspires to teaching others how to achieve their financial goals through real estate investing and taking action. One of his personal goals is to mentor disadvantaged youth to show them that anybody can be successful and achieve their dreams. He has a family with two beautiful young children whom he adores and loves to spend time with. He moved to the GTA from Montreal over 10 years ago and is fluent in French. Rene was born in Timmins and was an elementary school teacher in the region. Rene went on to obtain his bachelor of Phys Ed and graduated in 1968 and taught for 35 years, the last 25 at Centennial C.I. coaching swimming. One of Rene’s biggest accomplishments is being undefeated for the duration of his coaching career! In 1996 Rene retired from teaching and focused on Real Estate, particularly the Rent to Own model. Currently a Real Estate agent in the Durham area some of Rene’s interest include playing the autoharp and belonging to a bluegrass club. Rene continues to coach adult competitive swimming. Rene is married and is very busy spending time with his grandchildren. Quinton is an established Real Estate agent with 7 years of solid experience. He recognizes every real estate transaction is a major financial event in his client’s lives. He prides himself on careful attention to each client’s unique set of needs by delivering the services required to fully represent his clients with honesty and integrity. A graduate from York University with a Bachelor’s degree in Mass Communications, Quinton went on to work in the field of communications. It is there where he honed his interpersonal and communication skills which he has carried forward to the world of real estate and investments. Quinton enjoys staying active through playing baseball and basketball. He is also a dedicated husband and father to his two children. Who am I? My name is Gary Hibbert and with my best friend Darlene we were able to start one of Durham’s fastest growing Real Estate investing company. Each day I get to work with action takers, learn from some of the best entrepreneurs in the business and mentor beginning investors looking to change their lives for the better. Being able to design a lifestyle of your choice is not an easy feat however, it’s attainable as long as you have passion and know what your why is. The next 100 years will be like the last 100 years, mixed with difficulties and opportunity. No more excuses, go and get what you want and I’ll see you soon. There are more and more people interested in wholesaling BUT… does it really work? Is it possible to get started with very little money or none at all? On this call you will learn from one of the best in the industry, Allison Corey and how she took wholesaling to the next level. • Can you get into Wholesaling without having much cash? • Can you effectively wholesale without using bandit signs? • Who do you need on your power team to get started? • What contracts to use and how do you assign the agreement? • How do you know if you have a great deal in front of you? • What is the single most important thing when wholesaling? • Who do you need on your power team to be successful? Born and raised in Canada, I lived primarily in Southern Ontario. I have 2 daughters currently in college, and I worked part time in the beauty industry and 30 years in the hairstyling industry. My gift has been to manage and organize businesses. In 2006 I purchased a floundering hair salon and created systems to make it profitable, reselling it after 8yrs. That same year I also purchased a golf photography business and in turn helped head office restructure their website, technology and streamline their products and services offered. I got Involved with real estate in 2013. Primarily I have been purchasing multi units and lease options for wholesale, now moving into fix and flips. I participate in speaking engagements for real estate investment companies and write blogs for 2 different companies for online subscriptions. This month I had the chance to sit down with Johnathan Pollock, a financial advisor with Capesky. I can honestly say, Johnathan shared insight on what you need to be aware of and some of the secrets that many financial advisors are not willing to share with their clients. • What’s the BIG difference between a Bank and a Broker? • How do financial advisors get paid? • What is a M.E.R. and why investment advisor don’t always disclose? • When you invest, is it best to use your RRSP, TFSA, etc.? • In this market should you invest in G.I.C.’s? • What kind of insurance should you get, Whole life or Term? My name is Johnathan Pollock, I am not a banker, I am a self-employed financial security advisor that works for my clients and put their needs first. I am not for everyone as I can be quite blunt and tell it the way it is, but my clients whom have worked with me over the years know I wear my heart on my sleeve. I am licensed to offer investments and insurance across Ontario. Because I am a broker and do not work for a bank, I have no bias towards one brand/product and can gain access to the top financial products this country has to offer. There is no one size fits all, and there is no such thing as the “best product/fund”. It is about proper planning and the best plan suited for your individual needs. Investing in short term rentals can seem like a scary way to invest. After sitting down with Maria, she reconfirmed a very important lesson I learned from the beginning. Become a good student and you can achieve any goal you set out to accomplish. • How much money can you expect to receive from this strategy? • What are the risks with short term rentals? • What’s the best way to start investing in short term rentals? Maria Rekrut started her business in New York City in 1982 as a virtual business model and continued using this model in Niagara since 1985 as Maria Rekrut & Associates and has continued to prosper in her Business Development Practice as Coach, Trainer and Program Developer for various business in the Niagara area and International businesses. Maria Rekrut & Associates developed and delivered programs for Niagara College, Brock University, and University of Manitoba and many businesses worldwide. She has been passionately and successfully assisting both Canadian, and international real estate investors on “How to Start Successful Short Term Rentals” since 2000. Maria is a respected and well known Business Member of the Niagara community since 1986. She has been a member of various Chambers of Commerce including Niagara on the Lake, Niagara Falls, and Greater Niagara Chamber of Commerce. Maria was the only Woman Hydro Commissioner in the history on the “Niagara on the Lake” (NOTL) Hydro Commission, and also sat on the Niagara on the Lake Heritage Committee. She has sat on many Boards of Directors and is presently a Board Member of the Hamilton District Apartment Association, (HDAA). In 2014 and 2015 Maria was nominated by the Niagara Falls Chamber of Commerce as Business Woman of the Year. In 2016 Maria received from the Greater Niagara Chamber of Commerce her 30 year plaque for being in business in Niagara for 30 years. Maria is passionate about the Niagara Real Estate Market and the Investing opportunities in the Niagara Region offers and promotes it any way and any chance she can. She holds monthly Meetup meetings in Niagara Falls for Niagara Real Estate and Vacation Rental Owners. On this call we have an incredibly talented entrepreneur, Andy Tran. Andy is an expert in creating secondary suites in single family homes and he wrote a book on 2nd Suites – A beginners Guide. This Podcast is incredibly informative and is a great strategy to create cash-flow from a property that wouldn’t as a single family home. • What are the tax benefits when Incorporating? • When you Incorporate, does this implicate mortgage qualification? • What’s the best strategy for withdrawing funds from your Corp.
• If you do the work yourself can you write off sweat equity? • What application should you use for book keeping? A veteran real estate accountant and investor whose practice focuses on providing the knowledge and tools clients need to increase and preserve the value of their businesses, George is a frequent guest speaker at an assortment of meetings, events and workshops through the year. There, he addresses a variety of tax and accounting topics with implications for real estate investors, with a particular focus on tax strategies. He talks about ways investors can improve communication with their accountants and better organize their financial affairs. George also updates listeners about how their businesses are impacted by rule changes in the accounting and tax industries. George jointly established the predecessor to Dube & Cuttini Chartered Accountants LLP, in 1997 after several years with national accounting firms. He is a graduate of the University of Waterloo’s Master of Accounting Program, where he completed a double specialization in Taxation and Public Accounting. He also completed the Canadian Institute of Chartered Accountants’ two-year In-Depth Taxation Course. • Should you invest in the outskirts of Toronto and where? • What are the 4 metrics you need to know when investing? • Is diversification a good strategy to implement when investing? • Can you make double digit ROI or is that too good to be true? • What motivational principals are critical for investors to succeed? Chris Shebib is a full time real estate investor from the Durham region. Having held past careers as a licensed carpenter, contractor and technology executive, Chris has been investing for over 20 years in both Canada and the United States. Today Chris focuses mainly on longer term projects with joint venture partners, in and around the Durham region. Chris was also the winner of the National 2016 Top Investor Award. • Does writing a book help your decision making abilities? • Is writing a book about making money or about credibility? • Should you try to write a book on your own? • If you don’t have the time to write a book, is there another option? • The best ways to launch your book once it’s ready for the public? Monika chose Real Estate as an investment vehicle to build passive income and long term wealth for their growing family. After a tumultuous two years of actively investing in a wide range of Real estate Investment strategies , Monika identified specific Real Estate models they used to create a successful real estate portfolio and a lifestyle of freedom for themselves and their four young children. She is co-owner with her husband Vaughn of Real Property Investments, a Real Estate Investment Corporation that helps Real People build Real wealth through Real Estate! As Real Estate Investment specialists and wealth builders, they share these successful models ( and their experiences) with others investors, minimizing the investor’s risk and maximizing their returns! Lindsay R. Allison specializes in creating written copy and developing books for business owners. Since 2009, as CEO and Editor-in-Chief, she has ghostwritten, collaborated, and helped produce over 20 projects that have either been self-published or published traditionally. This year, in 2016 she developed 2 #1 Bestsellers. She received her first traditional publishing deal for her book, “The Stones” when she was only 16; holds a BA Honours with Distinction from the University of Toronto; and is a special guest speaker for various organizations, including the Arts and Science Department at the University of Toronto. She loves reading, travelling, and hanging out with her cats: Lu and Roger. By creating your book Lindsay helps you develop your vision — breaking through the noise by amping up the volume of your company’s voice. • Should you focus on real estate assets or mutual funds? • What is an MER and what should you know about them? • What types of stocks should you invest in? Marla McAlpine is Founder, CEO and “Chief Money Finder” with Healthy Wallet. Based in the Greater Toronto Area, she helps find more money and create more cash flow for what matters to them. Marla has her MBA, is a Certified Cash Flow Specialist, Money Coach and a Mortgage Agent. • Should you chase appreciation and how do you do it? • Should you consider investing in an appreciating area and is negative cash-flow ok? • Should you use the equity in your home to buy an investment property? • Understanding fears and the best way to overcome them. • Why action is the most important step when investing in Real Estate? • Why it’s important to treat your tenants like GOLD. Todor Tardonov is a Real Estate Investor and active Real Estate Agent. His tagline is “Rediscover Dreams and Possibilities”. Todor believes in holistic achievement of dreams that will benefit and influence those around him. He promotes education, support and most of all action that creates positive results. Todor invests, develops, coaches, educates and gives back to the community. He is also involved in real estate development of creative spaces, mixed use projects for lower income or subsidized income rental units and condos. • How to protect your investment when lending your money out? • What do you do when the borrower doesn’t pay you back? • Why is it important to have an exit strategy in place? • What are the 3 strategies to ensure you are always protected? • Why understanding loan to value can make or break your deal? • Strategies you need to know to ensure the borrower doesn’t default? Use your RRSP’s and TFSA’s to create predictable and consistent returns. All this while having the security of brick and mortar Real Estate. Does this sound to good to be true? – It’s definitely too good NOT to be missed! Nicole grew up in a small town, where her family owned multiple investment properties. She was surrounded by the knowledge and understanding of not only how to manage properties but also how to maintain them. She completed her education in the Legal Admin field which allowed her access to various administrative roles. Today Nicole is the owner of RYIS Properties. A name derived from her two son’s names Ryan and Kurtis. RYIS primarily focuses on all aspects of property management and works closely with the best paralegals in the GTA to assist with the legal side of the business. Erik is a graduate from the Richard Ivey School of Business. After working for only one year he decided that wasn’t the life for him. So instead, Erik and his brother Kevin both quit their day jobs almost a decade ago to start a real estate investment company and have been working as full time real estate investors ever since. Over this time they have built a portfolio of 64 units across Ontario. Not only that but they have also built a comprehensive educational system for real estate investing that has absolutely everything you need as an investor…all the information, access to all of the resources they have ever built, an industry leading property analyzer, and even a section dedicated to Student Rentals. Erik also became a licensed mortgage agent in order to provide clients and investors a passive way to help invest their registered money (RSP, TFSA, LIRA, LIF, RIF etc.) into real estate…earning an 8% Fixed Annual Rate of Return in some of the most exciting development projects in Canada. He is a wealth of knowledge and has a ton of experience, some of which he will be sharing with you during this podcast. Erik is the co-owner of DREI (Direct Real Estate Investors) a Real Estate Investment Corporation that educates people on the benefits of real estate as an investment opportunity and to help them add Real Estate to their portfolios in the safest most secure way possible. Monika and Vaughan Jazyk , chose Real Estate as an investment vehicle to build passive income and long term wealth for their growing family. After a tumultuous two years of actively investing in a wide range of Real estate Investment strategies , Monika and Vaughan identified specific Real Estate models they used to create a successful real estate portfolio and a lifestyle of freedom for themselves and their four young children. They are the owners of Real Property Investments, a Real Estate Investment Corporation that helps Real People build Real wealth through Real Estate! As Real Estate Investment specialists and wealth builders, they share these successful models ( and their experiences) with others investors, minimizing the investor’s risk and maximizing their returns! When you invest in Real Estate especially in a market that continues to move in an upward trend, after a few years and the secret is out it can become more challenging to find good deals. This is where the regular investor takes a seat on the sideline and the Savvy investor gets to work and creates deals. In this Podcast, I had the opportunity to talk with Ryan Carr, who capitalized on a unique strategy. He had the vision to turn single family homes in to 2 unit properties that many investors ran from. If you think you can’t make deals work in your area anymore, tune into this month’s Podcast to find out this game changing strategy. Ryan Carr is a full time real estate investor from the Durham Region who specializes in maximising residential rent potential using his “vertical split” renovation technique. His company, R.W. Carr Investments, has created a sustainable portfolio through the use of joint venture funding, and has also recently branched out into mentorship programs for newcomers to the industry. • Why do so many people experiences this? • What causes anxiety and what you should never do? • Is there a difference between anxiety fear and stress? • What steps can you take to overcome anxiety? • Why it’s important to face your anxiety? • Should you take medication to get rid of anxiety? • Does social media tie into anxiety? • Does exercising and diet contribute to your anxiety? • Can you ever fully get rid of anxiety and do you want to? On this call I had the privilege to interview Tim Collins. I’ve had Tim on the show before and we spoke about student rentals but on this call we speak about something completely different and something very close to Tim’s heart. Helping people overcome their ANXIETIES. On this call we had some open discussions about anxiety that may shock you. Believe it or not, anxiety is a normal, common reaction that many people experience. Tim JP Collins is The Breakthrough Anxiety Coach and supports people suffering with Anxiety, stress and panic attacks. Tim’s approach isn’t just about coping, it’s about moving past Anxiety and fear to live the life you were destined for. Tim worked in the corporate world as a Vice President of Sales for 15 years, so is well versed in the business space. He ultimately decided that wasn’t for him and was drawn towards supporting others, to live anxiety and stress free while going big in their lives. Tim has also spent time in Entrepreneurial and Real Estate fields, starting a business with his wife in 2007, in their spare time, which went on to be brand name in the infant market and was acquired in 2015. Tim is the creator & host of “The Anxiety Podcast” Each week Tim interviews people that have stories that you will be able to relate to. The interviews are raw, real and vulnerable and people share what’s really going on for them. Host of The Anxiety Podcast ~ Less Anxiety. More Life! This month I have an incredible interview with Jedidiah and Kasey. These savvy investors started like anyone else in the beginning and grew a Real Estate empire in a few short years. It’s always amazing to see what people can do when they focus on their DREAMS! This dynamic couple will share their strategies on Multi Family investing and how they can assist you by using their proven techniques. Professionally trained as a CPA, CA in Canada, Jedidiah has been an experienced real estate investor in the residential rental market since 2003. Kasey, on the other hand, is equipped with a plethora of property management skills and experience in rental properties and condominium buildings that typically range from 100-300 suites. Regardless of what she does, Tahani Aburaneh’s determination stems from the clarity in her driving force, which is to make positive transformations (in people, businesses, and land). As Canada’s leading female expert in real estate investing, Tahani is a Land Developer, International Speaker, Trainer, and proud mother of two grown children. Tahani is the founder of the Elite Real Estate Agent Training SIAC (Savvy Investor Agent Certification). SIAC is the first certification training that’s solely dedicated to Canadian Real Estate Agent who want to tap into the investor niche. At SIAC agents will learn comprehensive investor-niche strategies, tactics, and methodologies, so that they can attract a constant flow of clients, differentiate themselves from other agents, and exponentially increase their income. She is the author of the ‘Savvy Investor Agent Guide’ as well as ‘Real Estate Riches Book’, which is ranked on Amazon’s real estate bestsellers list. In accordance with her drive to contribute, 100% of the proceeds from Real Estate Riches Book are donated to care.org, an organization that fights poverty in third world countries with an emphasis on women. Paula Pant quit her day job in 2008 and never looked back. She’s traveled to 34 countries and counting, runs an online business from her laptop, and owns 7 investment property units that provide enough passive income to fuel her lifestyle. On her popular website, Afford Anything, she writes about achieving financial independence through hustling and investing, as well as general money-savvy tips for anyone trying to build wealth. She’s been featured in more than four dozen publications, including Forbes, US News, DailyFinance, Marketplace Money, Redbook, Kiplinger, Lifehacker and more. On this month’s call I interviewed Dan Caird and Ryan Carr. Dan is a mortgage agent with Northwood Mortgage and specializes in the purchase + Improvement program and Ryan Carr is a full time contractor and investor specializing in 2 unit dwellings and single home conversions. On this month’s call I have Shannon Murree. Shannon started her real estate investing career approx. fifteen years ago as a wealth creation strategy. She is a Wife, Mother, Investor and a business woman with multiple talents. Her passions include activism and philanthropy. She’s a A licensed REALTOR with RE/MAX in the Barrie location, Owner and Licensee of Simcoe County, MOMpreneurs® – part of The National Network that Supports, Educates & Empowers Canadian Moms in Business and CEO & Founder of Canadian WIN – Women Investment Network. Shannon with her team also, provides property management solutions for real estate investors in Simcoe County. She speaks Province-wide on the benefits of real estate investing, entrepreneurship, women empowerment & financial strategies as well as consulting services. Having been a single mother in the past, Shannon is no stranger to adversity. This month’s Podcast is very different from what we normally focus on. On this Podcast we will be diving into the importance of health and I couldn’t think of anyone better than Amanda Perrone. She’ll be educating us on why we need to be very careful on what we put into our bodies and how to create a balanced home environment. What’s the point in creating all this wealth if you don’t look after the only body you have to enjoy it later on in life? Looking for encouragement and guidance on how to invest in Real Estate? These 3 successful entrepreneurs will share their secrets on how they were able to raise a family and still have time to invest in Real Estate with no excuses. Monika Jazyk is happily married and Mother of four. She is a Real Estate Investment Specialist who decided to stay home with her four children. To help supplement their income Monika and her husband Vaughan chose Real Estate as an investment vehicle to build passive income and long term wealth. They have created a successful Real Estate Portfolio and they are also the owners of a Real Estate Investment Corporation that helps Real Investors build Real wealth through Real Estate! Gillian likes to say she was an “accidental investor”, when she bought a duplex in downtown Toronto back in 2009 with little planning or preparation. She was able to ride the value up, refinance to get capital to keep growing. Gillian wanted to leave her job and provide long-term financial security for her disabled son and three other children. Gillian decided to become a serious student of real estate investing and combined what she learned with her professional skills as a market research analyst to purchase 35 doors in Southern Ontario in 18 months. Today, Gillian is a full time investor and entrepreneur, focused on student rental investing with joint venture partners. Rachel Oliver is an active real estate investor, international best-selling author, speaker and trainer. Determined to escape the rat race, Rachel found financial freedom with Lease Options. She is a founding partner of Clover Properties, best known for helping investors generate passive income and profit with purpose and integrity. On this month’s call I have Daniel St-John. Daniel is an entrepreneurs to the core and has been a business owners for over 30 years. Together with his wife Laurel, they have generated millions of dollars of business for their clients, investors, and themselves. They have published several books, including two best sellers, and took home a REIN Top Player of the Year Award (for Ontario) three years in a row. They started—Safe And Sound Real Estate Investment Group—in the spring of 2010. Today, they own over 36 properties worth over $10 million. The best part is that they have built their portfolio without using ANY of their own money. Joey Ragona is the CEO of JDR Investments, a professional real estate investment company, founder of Engaged Investor.com and the creator Real Estate Joint Venture Presentation Formula. A full-time investor since 2007 and joint venture specialist and he is an in-demand high performance coach helping real estate entrepreneurs get “unstuck” to build a business that returns personal freedom without sacrificing their lives. His lifetime business knowledge, experience and marketing expertise has already helped hundreds of entrepreneurs find clarity and define new systems and strategies to create a stable business that no longer controls their lives giving them the true freedom they’ve always wanted. As for the coaches and mentors I’ve trained with (some are still to this day) Greg Habstritt, John Assaraf, Brendon Burchard, Eben Pagan. Michael Dominguez is a Real Estate investor and Realtor located in the Durham Region. Mike started his journey into Real Estate back in 2008 and in the last few years over 80% of his business has primarily been with investors. He was recently awarded Realtor of the Year by Canadian Real Estate Wealth Magazine and his clients focus on 2-unit properties, student rentals, RTO deal, and properties as big as 4 plexes. I had the privilege to sit down with Kate and Sandy to discuss something every beginning Real Estate investor wants to know about. Can you REALLY get into Real Estate investing with no money? A short cartoon video that explains the benefits of rent to own for the investor and the tenant.